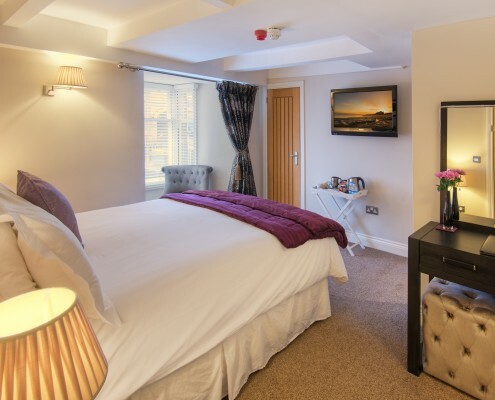 10 en-suite boutique rooms in total. 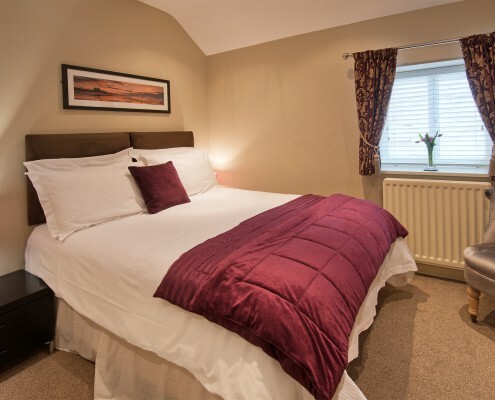 7 at the Bondgate Boutique Alnwick – A further 3 bedrooms over in Tate House. 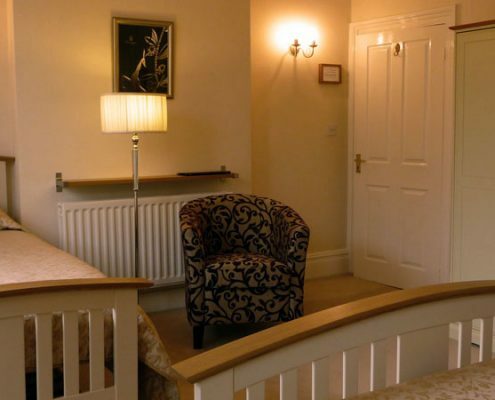 Our rooms come as – single or double occupancy variants. We have TWIN or FAMILY options over in Tate House. All beds are king or super kingsize. 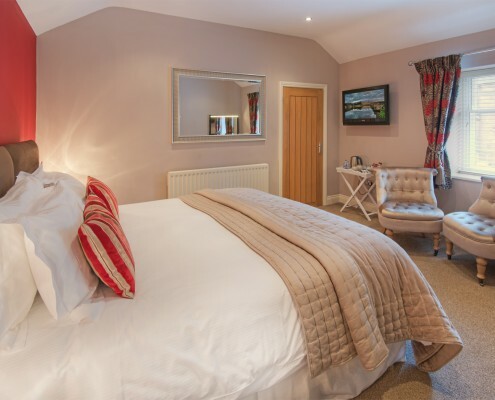 Rooms at the Bondgate Boutique are small but very cosy and beautifully furnished, all to a high standard throughout. 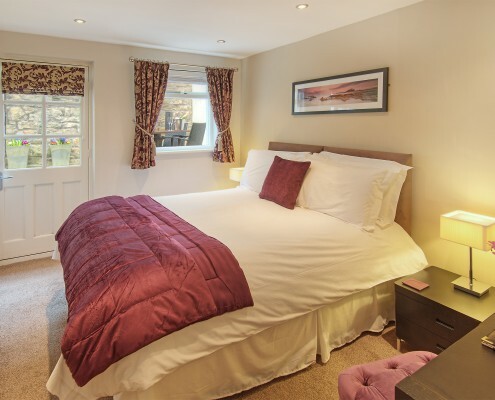 Early bookings maybe subject to a minimum of a ‘2 or a 3 nights stay’ during the holiday seasons. 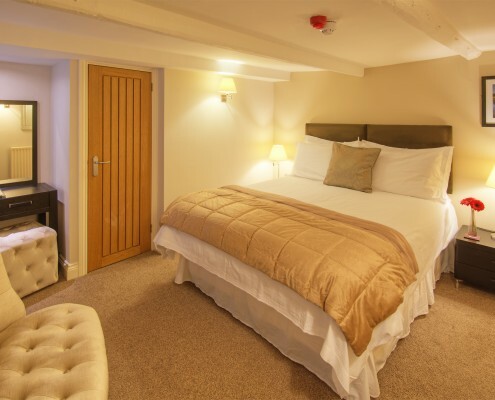 Bedrooms 1 to 5 have King Size beds. Bedrooms 6 & 7 are Super King-Size. 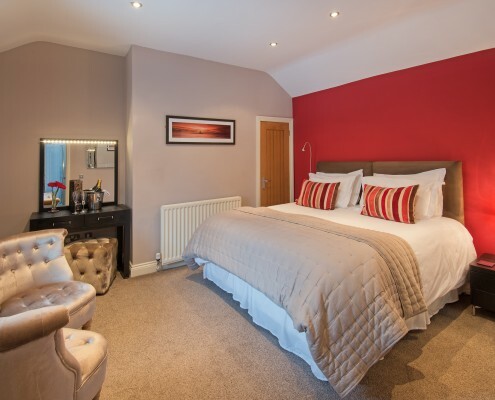 We provide luxury bed linen and soft furnishings throughout. We provide complimentary WiFi throughout the Bondgate Boutique. 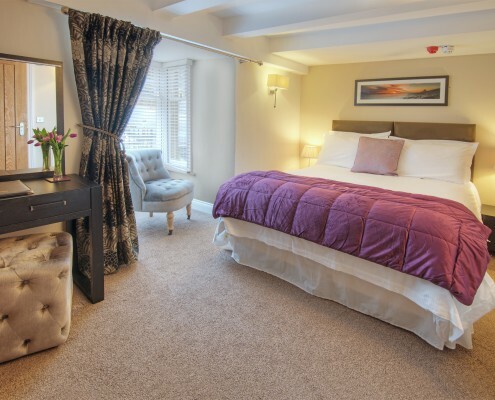 Like & Share us on Facebook to be in with a chance to stay for FREE in one of our boutique bedrooms with Champagne on ice on arrival. We will make the draw on the 1st April 2020. Don’t forget, exclusive to us you get 15% OFF when dining in the Plough Restaurant.